This brand launched in Nigeria at the fair courtesy of Monade Skincare. Having heard about it from foreign sites and reviews, I was looking forward to it. 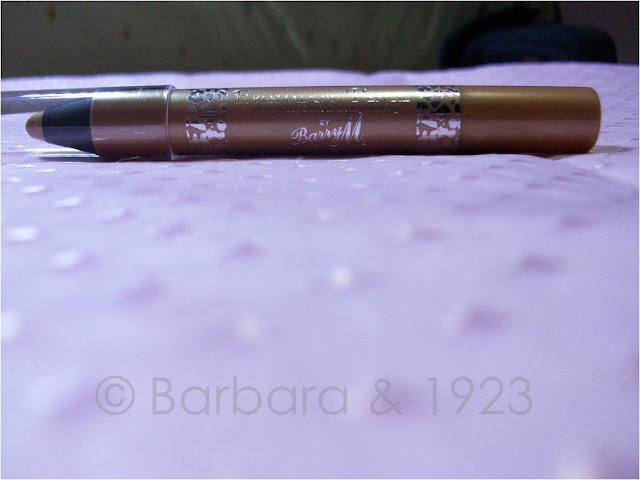 I was only able to get an eyeshadow pencil as that is what my budget allowed but I hope to be able to review more BarryM products as time goes by. I am not quite sure why I got the gold one perhaps because there were no other interesting colours at the stand. 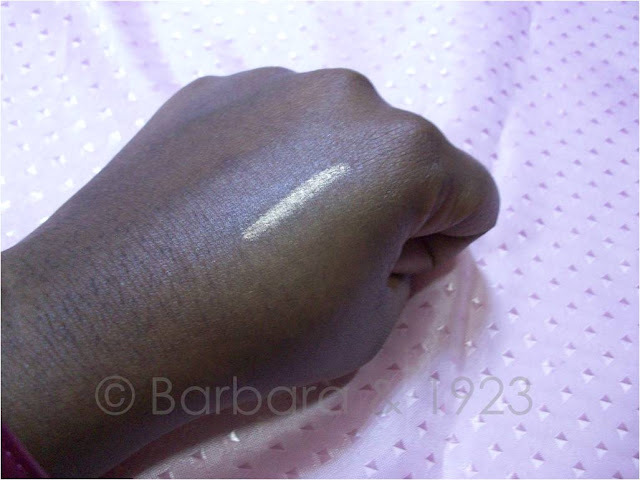 - This is a typical cream shadow product which is highly pigmented. 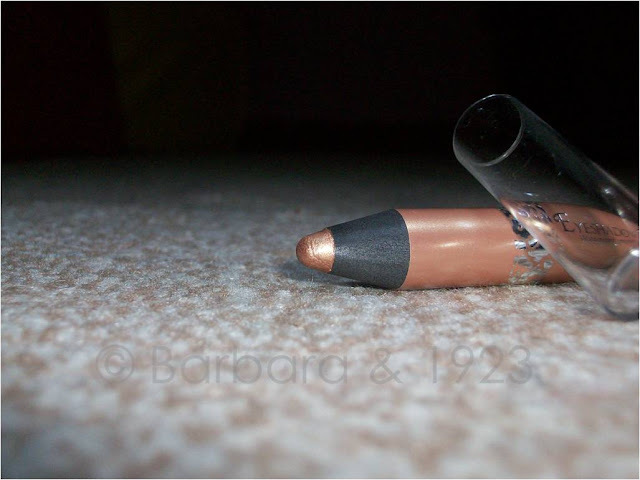 - It tends to be difficult to clean off which indicates that it has a high staying power. - It can be used as a cream base for powder products. I used it under the Arike e/s I got at the fair and it gave the shadow some sort of glow and it came out brighter than when the shadow is used alone. I like the effect it gives. I have a thing or two up my sleeves for experimenting with this product, in the meantime however, I would not trade it for my NYX jumbo pencils yet, those are tried and trusted. Hi thanks for commenting on my blog, I love Barry M it is one of my favourite brands. To answer your question from my blog, no I am not Nigerian I am Ghanaian. O cool. I am relatively new to the brand. This is my very first product of theirs so I am still treading softly. And thank you so much for visiting back. O yes, it took a lot to get the swatch off. 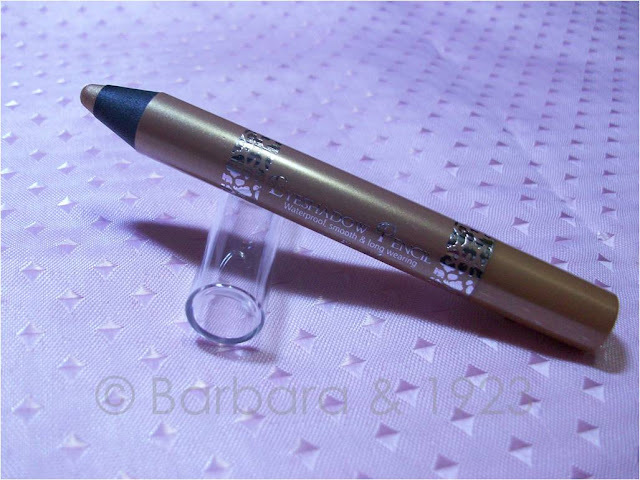 If you have issues with eyeshadows staying on you should try eye primers. I love the Mary Kay eye primer and there is UDPP which is a cult fav.